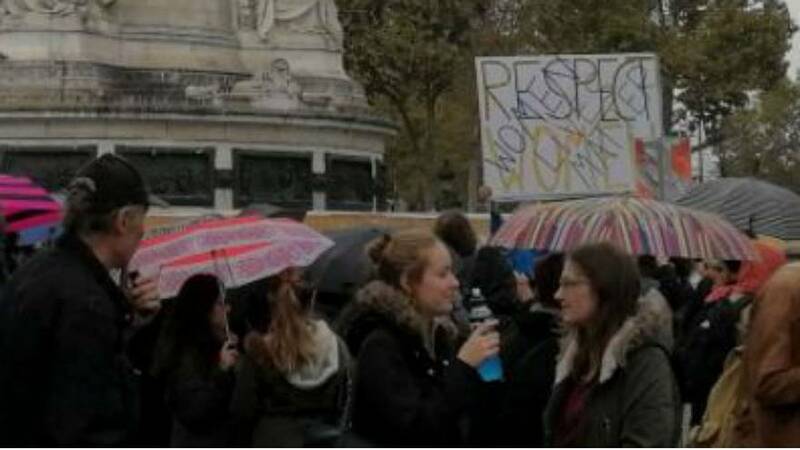 Women across France have organized a national rally on Sunday (October 29) to protest against sexual harassment, following #metoo campaign’s viral success in the wake of the Weinstein case. The initiative came from French journalist Carol Galand who in a blog post for the French version of Huffington Post called on women to protest sexual harassment out in the open. A Facebook event and a Twitter account where also created for the event. Since then other feminist figures such as Caroline de Haas have tweeted their support for the initiative and incentivized women to attend the rallies. While all major French cities organized protests in their town squares, the main gathering is taking place at the Place de la Republique in Paris. Earlier this week, the #metoo movement reached the European Parliament where women MEPs demanded that the EU legislature stop turning a blind eye to “disgusting” practices by some of their own colleagues. The three-week-old social media campaign was started by actress Alyssa Milano in wake of the allegations made against Hollywood producer Harvey Weinstein.